Affiliate Summit West 2012, an event for internet marketers, concluded a three day mixture of informative seminar sessions, booth exhibits and fun performances by Nelly, LMFAO and Tiesto. The three day event was held at Caesars Palace in Las Vegas from January 8th through January 10th. It is organized each year by Shawn Collins and Missy Ward, who put on an “East” version in New York and a “West” version in Las Vegas each year. Major brands that attended were Groupon, Google, ShareASale and LifeLock. The conference boasts over 5,000 attendees each paying over $1000 per ticket. 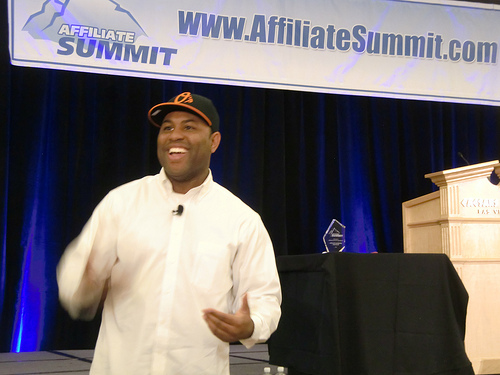 Keynote speaker was the entertaining and motivational Eric Thomas, who’s Youtube video quoting “when you want to succeed as bad as you want to breathe” went viral in late 2010. In a non-conference sponsored event, Tiesto started things off on Saturday night with a hugely popular performance at XS. 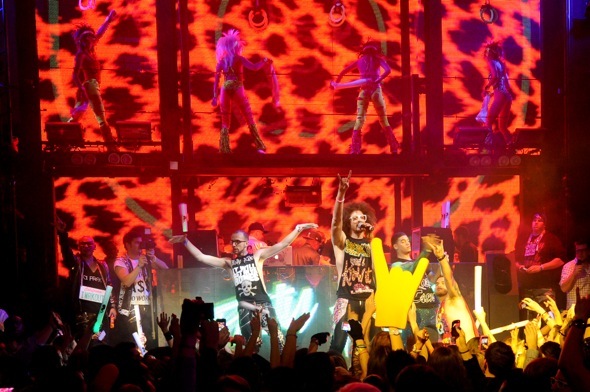 The music hits kept coming with another non-conference sponsored event with LMFAO performing at Marquee on Monday night, January 9. Piggybacking on the event was event promoter Darren Blatt’s Affiliate Ball. Darren has scored major music acts for previous marketing conferences, put together great crowds and emcees his own events. He has the rare ability of being good at doing all three. The concert was a private event for Affiliate Summit attendees. 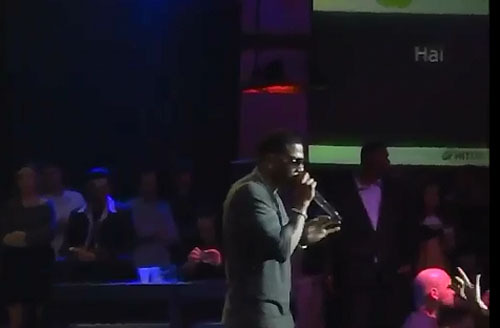 This year Darren secured Nelly to perform at the Rio Hotel’s Crown Room which attracted 2500 Affiliate Summit attendees and sponsorships from Russell Simmons’ Rush Card, FriendFinder Network and several other companies. Nelly put on a great performance in an intimate setting. I’m sure Nelly is used to performing at much larger venues but he was still entertaining in a 3000 seat venue by pulling a few girls to the stage and serenading them with his slower hits. Other celebrity attendees included Kate Gosselin, who was representing Coupon Cabin under her new gig as a contributing mom blogger. Kate has been writing about one article per week offering her readers money saving and coupon advice, which began on November 22, 2011. Monetary terms of her sponsorship deal have not been disclosed. Looks like a great event! I love Kate Gosselin and Nelly.